Dental cosmetics have more to do with aesthetics and perception than physical wellness, but the impact of our smile as how we view it and how we feel others view it, can improve our confidence, self-esteem, overall stress levels and positively impacts our mental health. One factor of dissatisfaction with ones smile is when there is an excessive display of gums or too little. Tooth Eruption. Sometimes the tooth erupts in a different manner where the gums cover more of the tooth; this makes the tooth look relatively smaller when it is the normal length. Gum Recession. Gum recession is when the gum tissue pulls back from a tooth exposing more of the tooth’s surface. Muscle Movement. A hyperactive muscle reaction can cause your upper lip to move higher showing more of the gum area when you smile. On the contrary, a hypoactive muscle reaction shows less of the gum area. These causes may be results of an oral health problem, improper dental routines, and genetics or drug side effects. To fix this, one of the options is gum contouring surgery. Gum contouring surgery, also called tissue sculpting or gum reshaping, is a dental procedure that is considered a purely cosmetic one. 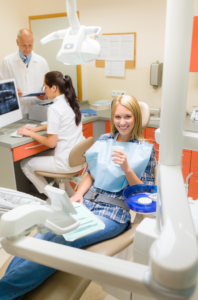 However, procedures involving gum recession is also a medical procedure. This surgery can be performed by most general dentists and gum specialists with the usage of scalpels, radio surgery, or lasers. The doctor is required to give an overview explaining the procedure with a visual of how the gum line will be reshaped. Some procedures would require tooth modification as well. It is always best to consult with one to two trusted dentists about your concern with your gums to see if you are a candidate for gum contouring. 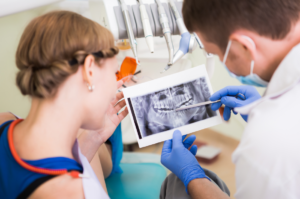 Looking at the portfolio of the operating doctor can also give you an example of how your surgery may turn out and if that fits your expectation towards the ideal smile you’re going for. Many patients wonder what the difference between teeth whitening and teeth cleaning is. While both the procedures may basically sound to have the same objective, they are miles apart. Teeth cleaning, better known as scaling and polishing, is a routine dental procedure that removes dental plaque and tartar along with extrinsic stains present on the outer surfaces of teeth. Teeth whitening is a purely cosmetic dental procedure that lightens the pigmentation present inside the tooth structure. Scaling and polishing, however, is a part of the procedure for teeth whitening. (i) Over-the-counter methods: These include toothpaste, rinses, gels, and strips. Although these are the cheapest method available, they have the least whitening effect. (ii) At-Home methods: These involve fabrication of custom made trays which have to be worn for 30 minutes to several hours each day, according to the dentist’s instructions. Such methods have a more dramatic effect than the over-the-counter methods. However, the whitening gel is of lesser concentration to avoid sensitivity to the gums etc. (iii) In-Office Whitening: This method has the most appreciable and dramatic results of teeth whitening. A much stronger concentration of peroxide is used and involve the use of special lights or lasers to carry out the procedure. In-office whitening usually takes about one hour to complete and may be split into cycles of 15-20 minutes each. This is usually preceded by a session of scaling and polishing. After teeth whitening, there are some foods that one is required to avoid whereas there is no such need after scaling and polishing. Any aesthetic restorations that need to be done are also recommended to be carried out 24 hours after the teeth whitening for better shade matching. As teeth whitening is a cosmetic procedure, it is not advisable to get it done too often as it may lead to sensitivity and weak enamel. Additionally, teeth whitening is best avoided in people who already have sensitive teeth, hypocalcified teeth or fluorosis. If you are a candidate for teeth whitening, it is advised to get teeth cleaning done once in every six months. To learn more about these treatments or to schedule an appointment with your Walnut Creek cosmetic dentist, call us today at (925) 937-9017! When you see a celebrity’s smile on television, there’s a desire to have similar shining teeth as they do. Some people assume that it’s out of their reach, but scheduling an appointment with your Walnut Creek cosmetic dentistry can quickly and efficiently give you the brighter, whiter smile that you’ve dreamed of! We want to talk more about the popularity of teeth whitening and why seeing a professional is the best option. As you visit your local grocery store, you’ll be able to find a wall of take-home whitening kits on the shelves for the taking. It can be overwhelming, but some people choose this option because it’s convenient and cheaper. Unfortunately, this isn’t always the right choice. 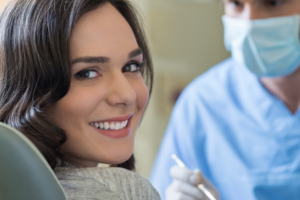 Every patient has their own unique smile, which means they all need a particular treatment for their teeth. The take-home kits may have too much or not enough bleach to change the shade of your teeth to the one you want. The bleach can also cause extreme sensitivity and damage your enamel, making it difficult for you to eat and drink normally. If you’re interested in purchasing a take-home kit from the store, we highly recommend doing research beforehand. This includes visiting our office for consultation; your dentist is the best professional to ask to see what your teeth can handle and what can make them whiter and brighter to your liking. Ask as many questions as possible, even to explain how the whitening gels and strips work, just to make sure that your teeth won’t suffer from any damage. We also have the ability to whiten your teeth in-office, too! The process typically takes about an hour and you’ll recognize a notable difference in the shade of your teeth once you’re finished. You’ll also feel much more comfortable, relaxed and knowledgeable, knowing that a professional is taking care of your teeth. If you’re more comfortable in your home, then don’t hesitate to ask about our personal whitening kits! Make sure to follow the instructions so your teeth will properly benefit from the treatment. If you’re interested in learning more or scheduling an appointment or consultation, please contact your Walnut Creek cosmetic dentistry by calling us today at (925) 937-9017! Your brand new smile is right around the corner! You’ve been thinking about the way your teeth look and how you’d like to improve them. You notice that they’re crooked and that you’re uncomfortable with smiling, laughing and even eating around friends and family without feeling self-conscious. Thankfully, your dentist in Walnut Creek offers a simple solution and that is Invisalign! Not only will this treatment straighten your teeth, but can improve a number of other dental health issues that you could have been suffering from without even knowing. Invisalign has become one of the most popular orthodontic treatments around, allowing patients to correct the position of their teeth without having to deal with the difficulty that traditional metal braces usually bring. They’re available for adults, as well, giving them another chance at a better smile without avoiding their dental issues. Many adults will refuse to receive orthodontic work because they believe that metal braces will hinder their personal and professional lives, so they don’t think it’s worth it. With Invisalign, your daily routine will hardly change and you’re still able to improve the way your teeth look. With straighter teeth, your overall health will also improve. When your teeth are too crowded or they’re widely spaced, your gums can become swollen and red due to excess bacteria in the area. It can also be difficult to clean those areas, but when your teeth are properly aligned, everything fits in place and makes it easier to clean. The straightened teeth will create a strong and healthy environment for those around it, protecting them against potential periodontal issues. You also won’t have to deal with the difficulty of eating with traditional metal braces. Many patients find it difficult to eat and enjoy their favorite foods without having to extensively clean their braces, which takes an abnormal time out of their day and can still end up without the results you want. With Invisalign, all you need to do is remove the aligners to eat and clean your teeth when you’re finished so there are no remaining food particles or bacteria being lodged in once you place your aligners back on. Invisalign has provided millions of patients around the world with a smile that they’re excited to share and you can be next! Contact your dentist in Walnut Creek to learn more about this treatment and schedule a consultation by calling our office today at (925) 937-9017. Your top providers of Walnut Creek cosmetic dentistry are often asked about our profession by patients. 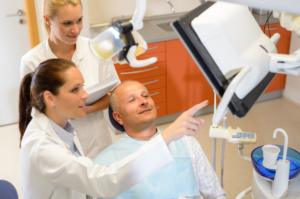 Specifically, inquiries about what cosmetic dentistry is, why we practice it and what sets up apart from our competition are all pondered- and are very valid questions indeed. With that in mind, today we will answer all the aforementioned questions to help you learn more about the ins and outs of cosmetic dentistry. Compared to family, general or advanced dentistry- cosmetic dental procedures focus most primarily on the look of the smile. The previously mentioned categories will deal more with function and prevention, general health, but cosmetic procedures enhance aesthetic and restore teeth so that they are better looking. Now, that is not to say that function and appearance don’t cross paths ever. For instance, we may place a dental bridge that can help improve appearance by filling in the gap left by missing teeth…but it will also help improve the bite and speech of the patient as well. As not only a top cosmetic dentist but as a doctor, we will never compromise patient safety or health for just a better-looking smile. Why Practice Cosmetic Dentistry/What Sets You Apart? Your Walnut Creek cosmetic dentists practice this particular branch of dentistry because we truly believe in the power of a smile. We have seen first-hand how improving a patient’s smile can improve their confidence, their emotions, their life. Choose our office because of our dedication to patient well-being and our unbeatable, individualized approach to your specific case. Change your smile- change your life. Call the top cosmetic dentists in Walnut Creek CA today to schedule an appointment at (925) 937-9017.